Happy Valentines, everyone! This Friday, I am excited to introduce you to fiction writer Ms. Jessica Dall with her upcoming book The Copper Witch, to be released in March 2014. Jessica Dall started her writing career at the age of 15. For the past years, she has published novels and several short stories that have appeared in anthologies and literary magazines. She is currently residing in Washington, DC where she is working freelance for a number of papers, reviews plays and books, and edits everything from novels to how-to books. 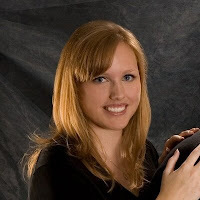 Along with that, Jessica also writes book reviews for ePublishaBook.com and teaches Creative Writing classes for Writopia Lab. - “Gods Laugh” (2009), Leucrota Press’s “Abaculus III” Anthology. JD: I tend to be one of those lucky writers who are able to write anywhere. I always have a notebook with me and have a MacBook Air which is small enough to carry around in my purse if I like, so whenever I have a moment, I’m generally writing. I just have to be careful that I don’t get too caught up when on something that’s moving. I've nearly missed my stop once or twice writing on the train. TPW: When did you decide to become a writer? JD: I've always in some ways been a writer. I used to drive my mother crazy by leaving papers with lines half scribbled on them lying around my room. Even before I could actually write, I would “pretend” where I’d do a bunch of loops on a line and pretend it was cursive (doing that is actually one of my very early memories). I first began writing seriously, however, in high school when I finished my first novel, and then professionally in college. Since then I've been hooked. TPW: How did you come up with the title of your book or series? 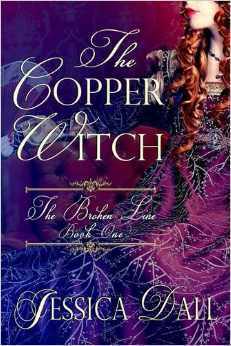 JD: For The Copper Witch, the name came from a couple of things (other than me simply liking the title). Copper refers partially to a bracelet the protagonist wears (a bit like a safety blanket) and her hair which has a fair deal of red in it. Witch is there because she’s “entrancing” and finds some witchcraft rumors popping up around her as the book goes along. Combine that, and voila. The series name (The Broken Line) comes from family lines being very important in the series. While all the protagonists from the books are related to each other, family names aren't passed down the maternal line and thus each character finds herself in a different “family line” (hence “broken”). There is also some fun upheaval with that in Book 2, but I’ll leave that for when that book comes out. TPW: Tell us a little about your cover art. Who designed it? Why did you go with that particular image/artwork? JD: The amazingly talented Viola Estrella designed the cover and did a brilliant job. While my publisher had final say on cover art, I really couldn't be more thrilled. Part of the inspiration for The Copper Witch was Frank Cadogan Cowper’s painting “Vanity” which I shared with Viola along with pictures I felt had the right feel for the cover. Viola was able to take those inspirations and come up with something truly breathtaking. The joke is I now hope my writing lives up to readers’ expectations when they buy it solely for the cover. JD: My favorite character to write was certainly the book’s protagonist, Adela Tilden, simply because she’s a force to be reckoned with. She knows what she wants and goes after it, damn the consequences. While I’m not sure I’d actually want to be friends with her in real life, she was a lot of fun getting down on the page. TPW: Who is your intended audience and why should they read your book? JD: I have to say I was my original intended audience (I wrote The Copper Witch purely because the characters interested me to start) so I imagine my intended audience would be people like me (twenty-something women who enjoy historical fiction) but I do believe many outside that demographic will also enjoy the book. And I would hope they read it because they find reading it as enjoyable as I found writing it. The characters always seemed to know what they wanted to do, and it’s quite the ride from beginning to end. JD: The Copper Witch is actually my first foray into anything like historical fiction (my previous works have been fantasy/sci-fi), but I have always very much enjoyed reading the genre. I suppose it was only a matter of time before I found myself writing something set in the past. Honestly, though, if I think of an interesting story, I tend to write it. Doesn't matter the genre. TPW: What can we expect from you in the future? JD: Book 2 of the Broken Line Series, The Porcelain Child, is already in the lineup for publication later this year so readers won’t have to wait long for the next Broken Line book (it’s currently waiting to start edits). For those who prefer my fantasy books, they’re also in luck with My Soul to Take coming out at the end of this year from REUTS Publications. Once I have gotten through the craziness of three books coming out in one year, I’ll be starting work on Book 3 for Broken Line and probably going back to an historical fantasy series I started a bit ago but still need to finish. JD: Thank you for hosting me! Book One of the Broken Line Series, available March 13th, 2014 from 5 Prince Publishing.